DV8 Steerable Aluminum Knee Walker | Mountain Aire Medical Supply, Inc. The Drive Medical DV8 Steerable Knee Walker is a comfortable and pain-free alternative to crutches. 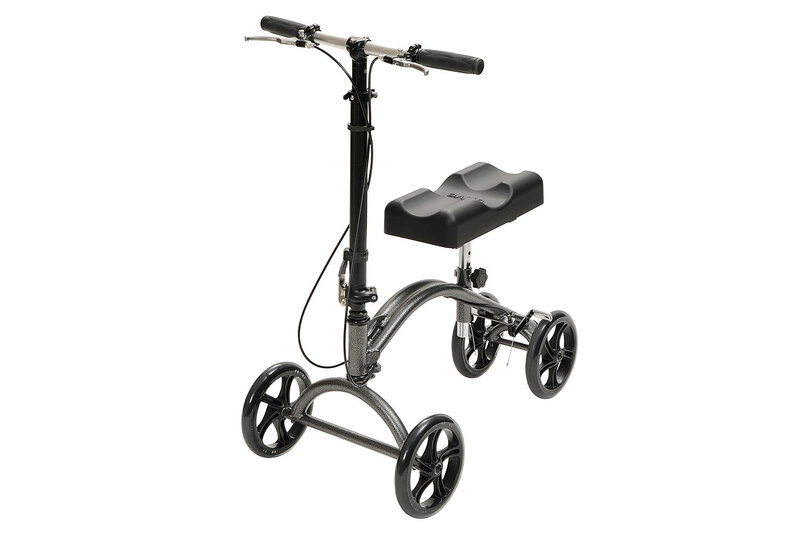 This walker is ideal for people who are recovering from foot surgery, sprains, breaks, amputations and ulcers of the foot. 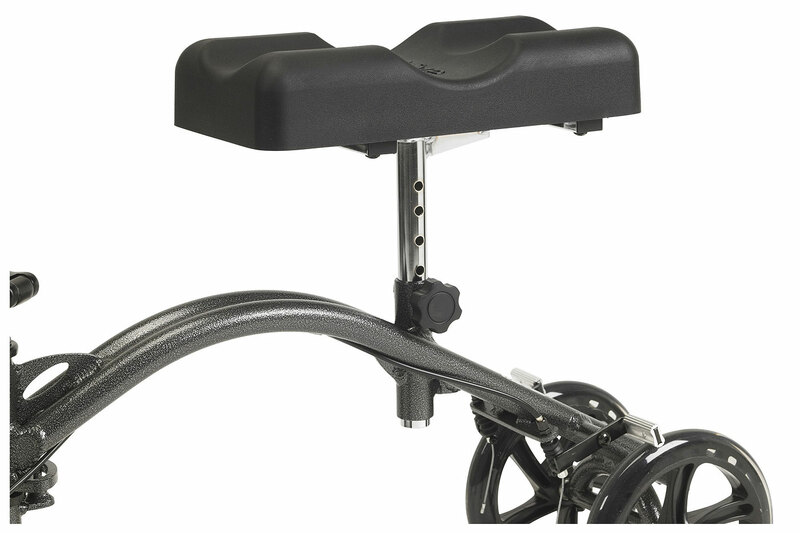 The DV8 is equipped with 8" casters and dual frame design offering maximum control when used outdoors and indoors. 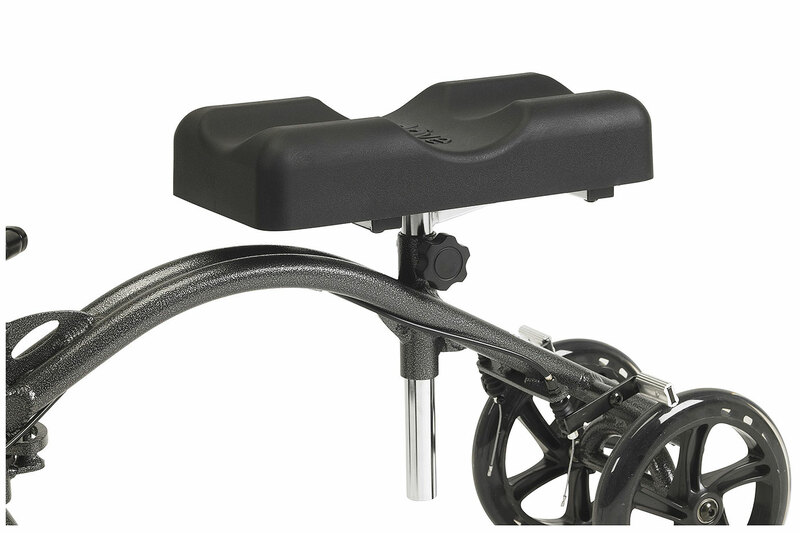 It comes with height adjustable dual hand brakes to ensure safety and security. 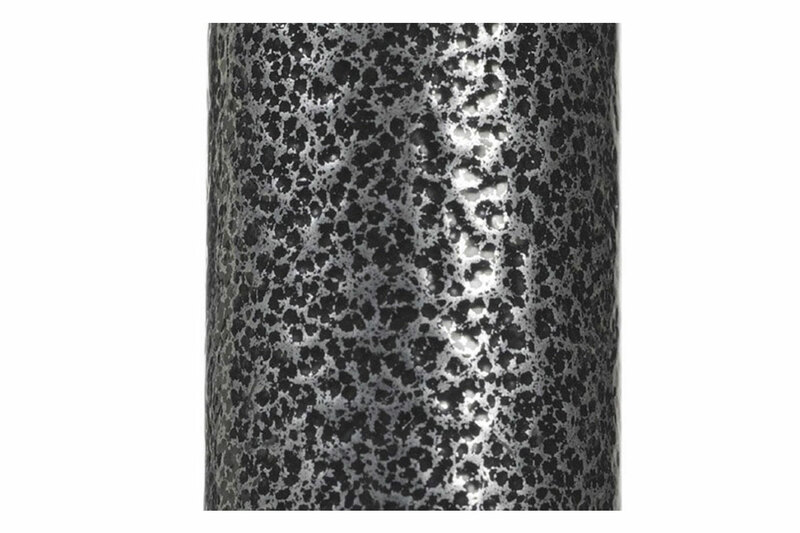 It also includes an extra thick leg pad that can be height adjusted. It folds easily, without tool for travel, storage or just getting around. Handle Height: 33" - 37.5"
Knee Pad Height: 17.5" - 21.5"